Many years ago, when I was applying for my second fundraising job, I was asked a question I thought very…well, questionable. “What donors can you bring with you?” the chair of the search committee asked me. To be honest, I was quite nonplussed. I had only been in the field 3 or 4 years, but it seemed to me that donors were not the same as say the clients of a hair stylist who would bring his or her customer book to any new location. Donors, I thought then and now, don’t “belong” to the development staff. Rather, they have been cultivated and solicited because they had been identified as someone who would want to be involved with an organization’s mission. As a fundraiser, I may have coordinated and facilitated their gift, but it was a gift to the organization or institution for which I worked. It was not a gift given because they personally liked me. So, baffled as I was, I simply sputtered, “None.” And didn’t get the job. While it was the first time I was asked the question, it was far from the last. And each time, I tried to explain that I considered my job to cultivate donors for the organization and if I had done my job right, when I left, the donor would have relationships with others who worked and volunteered at the organization and so would remain a committed supporter. Further, I would tell my interviewer, just as I won’t be bringing donors with me, I won’t take donors from you when I leave. Since I was offered a number of these jobs, and was able to continually move up the proverbial food chain, it was clear that many people understood and possibly agreed with my position. And yet, I can’t help but think that there often was a disappointment that I didn’t bring with me a fat rolodex of people who would write a check within weeks of my arrival. I, however, always want to be more than merely a money machine to any organization I work with. I want to create or strengthen a foundation where there is sustainability. I think our job as fundraisers is, as I said a few paragraphs ago, to mainly be a coordinator and facilitator—both to help donors make satisfying and effective gifts, and also to assist volunteers and other staff members to be part of the process. This is not to say that I have never offered a donor I knew from one organization the opportunity to support another if I thought there was a reason to believe that donor would be interested. After all, as every good fundraiser knows, the best indicator that someone will become a donor to your organization is that he or she is a donor to another organization. Still, I think it shows a complete lack of understanding of why development is important to an organization to expect a fundraiser to bring donors along with her. Yes, yes of course, fundraising is about bringing in money. But it is mostly about building relationships that will help to nourish and grow an organization. If you believe that, then it is clear that the right question to ask a potential fundraiser is not who do you bring with you but rather, how do you go about finding and caring for those to whom our mission matters? And what steps would you take to ensure that this person (or organization) is well connected to our organization and feels part of the work we do? 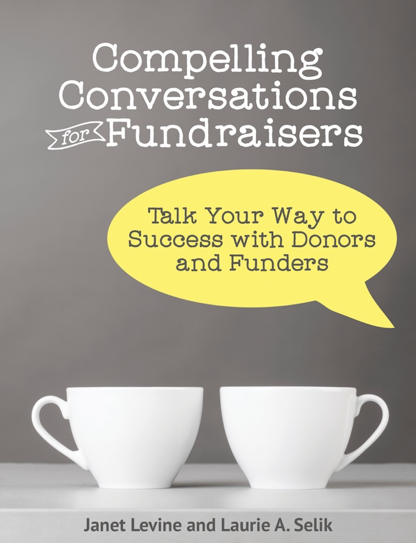 Fundraisers who can answer those questions are worth their weight in gold. And, trust me on this, over the long haul, they will bring in far more gold than someone who brings his gravy train along for the ride. This entry was posted in development, donors, fundraising. Bookmark the permalink.